The first internal tropical rainforest in UAE (The Green Planet) was opened to the public in August 2016. AFFAN were an integral part of the construction team, responsible for the design and installation of the complete external envelope. The state-of-the-art indoor entertainment destination will comprise a total of 18 thrilling attractions, rides and experiential zones, with a substantial number exclusively developed for Hub Zero. Meraas, a Dubai-based holding company, has announced the launch of Hub Zero, the region’s first immersive entertainment park that is set to offer innovative experiences created in association with world-famous video game developers including Electronic Arts, Capcom, KONAMI, Microsoft and Square Enix. 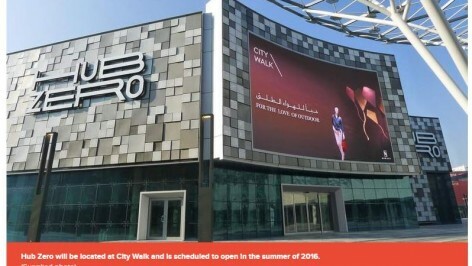 Hub Zero will be located at City Walk, a premier urban lifestyle destination in Dubai, and is scheduled to open in the summer of 2016. The state-of-the-art indoor entertainment destination will comprise a total of 18 thrilling attractions, rides and experiential zones, with a substantial number exclusively developed for Hub Zero. As the region’s first indoor theme park based on video games, Hub Zero is set to address the increasing global demand for innovative and distinct gaming experience. In 2014, the total consumer spend on the games industry was $22 billion.The global market for video games was predicted to jump by 9.4 per cent in 2015, with researchers predicting that at this pace global revenues will reach $107 billion in 2017 . In the ever-evolving entertainment industry, Hub Zero introduces a new dimension of electronic gaming by inviting visitors to immerse themselves in a vibrant virtual environment and delve into a world of their favourite gaming characters and ‘Live the Game’. Several rides will be powered by artificial intelligence and feature real-time engines to provide an unmatched interactive and non-predictive gaming experience. Spread over an area of approximately 15,000 square metres on two floors, the immersive entertainment park will also feature an extensive e-Sports LAN gaming zone and a children’s play area.